David Hackett has been a participant in all the recent developments in the transportation fuels industry. Leveraging a Supply and Trading background at Mobil, Dave started Stillwater Associates in 1998. Since then, Stillwater’s work on issues like the MTBE phase out, gasoline price controls, corn ethanol distribution, biodiesel production, next generation renewable fuels implementation, price gouging, fuels infrastructure constraints, mergers and acquisitions, interstate commerce, petroleum logistics, and refining technology have helped to make the firm a leading force in the transportation fuels space. 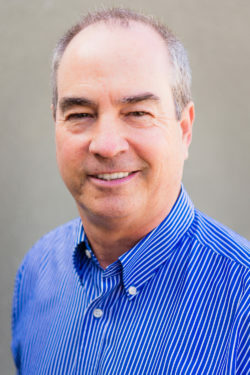 With more than 30 years of experience in the downstream oil business, Dave has built a team of industry professionals who are skilled at creating value for our clients. A frequent speaker, Dave has made presentations for American Fuel & Petrochemical Manufacturers (AFPM), the California Energy Commission, the Pacific Oil Conference, the California Independent Oil Marketers Association, the Society of Gasoline Marketers of America, and the Ohio Oil & Convenience Store Marketers Association. Valued for his downstream transportation fuel business expertise, Dave is often asked to share his knowledge with policy groups. Dave is an Executive Fellow at the University of Calgary School of Public Policy. He is also a member of the California Energy Commission’s Petroleum Market Advisory Committee (PMAC). Policy makers and legal firms regularly seek out Dave’s expertise on supply and logistics issues. He has testified before the U.S. Congress regarding gasoline pricing. Dave has also advised on and provided expert testimony for litigation in this space. Dave is often asked to comment on current energy issues to the press. He has been interviewed by American Public Media, NBC, CBS, the Wall Street Journal, the Los Angeles Times, the Orange County Register, the San Diego Union Tribune, the Sacramento Bee, and the Honolulu Advertiser, among others. Dave received his BS in Oceanography from the US Naval Academy in 1971. He earned a Masters in Education from California Lutheran University in 1975 and an MBA from the University of California, Irvine in 1997. David Bulfin has dealt with energy issues from various perspectives during a 40-year career working for international oil companies, including 29 years with Mobil Oil Corporation. His experience encompasses refining, marketing, and product distribution logistics involving tankers, barges, pipelines, railcars, and trucks. He has been Vice President of Operations Research at Stillwater for ten years. His main focus is developing and executing strategic operating plans to create value, including substantial bottom line profit impact for clients. Strong analytical and organizations skills make Dave particularly adept at tackling unstructured problems and aligning tactical activities with long-term strategic objectives. His expertise in resolving operational problems and inefficiencies has been brought to bear in several high profile lawsuits with considerable benefit to clients. 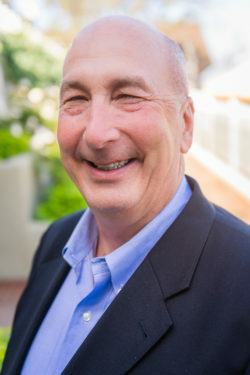 In addition to private sector clients, Dave has worked with governmental agencies, including DOE, reviewing compliance with renewable fuel mandates and with NGOs including NRDC and NESCAUM. 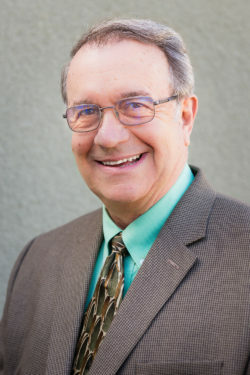 Dave earned his MBA in Industrial Management from Purdue University in 1971. He has a BS in Chemical Engineering from Drexel University. He resides in Charleston, South Carolina. As Stillwater’s Vice President of Operations, Megan Boutwell is responsible for promoting Stillwater Associates as the leading experts on transportation fuels issues. Megan directs business operations and implements growth management within the company. 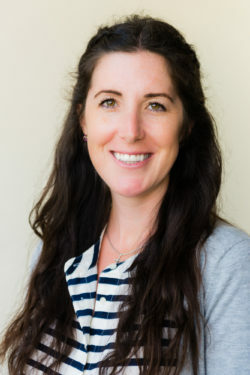 Megan manages human resources and in this role has developed a unique work environment that encourages flexibility for employees while providing ample opportunities for growth and success. As editor of the Stillwater publications and Stillwater’s LCFS Newsletter, Megan is responsible for developing and editing content on a wide range of transportation energy issues including policy, logistics, mergers & acquisitions, and renewable energy markets. Megan oversees online marketing efforts and social media campaigns. Megan has a BA in French and English Literature from Hollins University in Roanoke, Virginia. She lives in Portland, Oregon with her husband and three children. As Stillwater’s Director of Project Management, Kimberly Barrett is responsible for shepherding client projects from their inception to their successful completion. Kim oversees our project management process using cloud-based software to develop new projects, manage contracts, and organize project teams. Setting up a client project properly ensures its success. Kim uses her impeccable organizational skills to oversee new project development by setting up efficiencies tailored to the individual project. 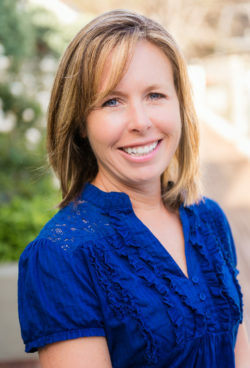 Kim is responsible for tracking project costs and schedules to ensure their completion is on time and on budget. Kim received her Chemical Engineering degree from Colorado State University in 1997. She lives in Northern Colorado with her husband and two sons. 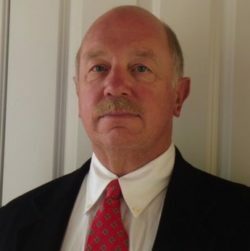 James Ahrens is an economics and planning professional with over 36 years of experience in optimizing petroleum refinery operations and the associated supply/distribution logistics. Since 2002, he has been engaged as a consultant to develop refinery economic models and studies for various clients. He is highly skilled in the use of linear programs (AspenTech PIMS and Chevron’s PETRO). 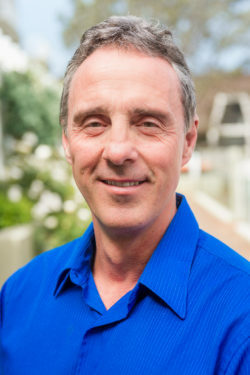 James’ unique blend of refinery technical and economics expertise, along with a practical knowledge of refinery operations, brings a detailed and sophisticated understanding to refinery analysis. As a consultant, James has participated in the development, validation, and maintenance of numerous refinery operating models. These models, both linear programs and spreadsheet estimation models, have been instrumental in performing project evaluations, capital budget planning, cash flow analyses, due diligence for mergers and acquisitions, and litigation support for insurance and ad valorem tax cases with considerable benefits for clients. He also participated in the development of regional refining models that were used in numerous multi-client studies to assess the state of future refining capacity, product supply/demand balances, and impact of fuel specification and renewable fuel trends. James’ 22-year industrial career began at Mobil Oil where he had numerous assignments in refinery economics, planning, and engineering activities for two U.S. Gulf Coast refineries (Beaumont and Chalmette) and the West Coast Torrance refinery. At Torrance, he was the primary resource for coordinating all aspects of refinery economics, inventory management, product blending, and rail/truck traffic. He also acted as the liaison between refinery operations and West Coast Supply departments. After his tenure at Torrance, James joined the Crude Supply, Trading, and Transportation department at Mobil corporate headquarters where he optimized the selection purchase, and transportation of 120 million barrels of crude oil annually for the two Gulf Coast refineries. He managed three million barrels of in-tank physical inventory and the associated financial exposure. James earned a B.S. in Chemical Engineering from Texas Tech University in 1977. Samantha Aluise is an Administrative Assistant at Stillwater Associates. She helps with editing, research, and general administrative duties. Formerly a television producer, Samantha loves the flexibility of administrative work at Stillwater that allows her to earn a living while caring for her two young daughters and stepdaughter. Samantha has a BA from San Francisco State University & lives in Marina Del Rey with her family. 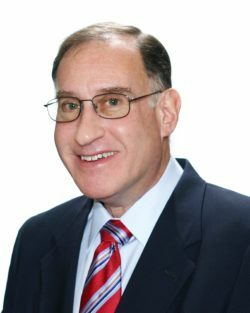 Michael W. Bloch is a highly experienced commercial operations and planning advisor with more than 37-years experience at Mobil Oil and Exxon Mobil. Michael has led diverse teams of professionals to new levels of success in a variety of highly competitive markets within the oil industry. He possesses strong technical and business qualifications with an impressive track record in operations, crude and product trading, risk management, strategic planning and business development. Michael is able to successfully analyze critical business requirements, identify opportunities and deficiencies, and maximize general interest realization from equity crude exploration, development, production, marketing and transportation. Michael earned a BA in Economics and an MBA in Marketing, Transportation and Logistics from Michigan State University. He resides in Fairfax, Virginia. Brian worked for 30 years in various roles in the downstream chemicals and fuels businesses in Phillips Petroleum, Amoco, and BP with his most senior role as VP of Strategy and External Affairs in BP’s Advanced BioProducts Business within their Alternative Energy Segment. His career has included roles in polymer catalyst technology development and commercialization, business general manager of global chemical catalyst, global sales, market development and licensing of specialty chemicals, business strategy for global biofuels, and legislative/regulatory affairs and business communications for U.S. and Brazil advanced biofuels. Brian represented BP on several biofuels trade associations and internal corporate policy committees where both petroleum fuels and biofuels business priorities were developed. His largest business achievements include a specialty chemical business turnaround of a historically money-losing business into a long-term profitable business, converting an internal specialty chemical supply business into a profitable global sales and licensing business, developing a comprehensive fully integrated“farm-to-tank” business strategy for a $6 billion investment plan of a new advanced biofuels business of equivalent fuel volume to a large deep-water oil platform including developing the legal and business justification for RFS regulatory changes to enable the business strategy. 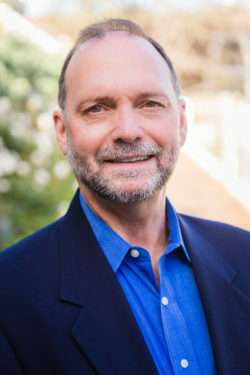 Brian has been a speaker at many academic and business conferences including CeraWeek, Platts, Hart Energy, National Conference of State Legislatures, World Affairs Council, Massachusetts Institute of Technology, Stanford, University of California at Berkeley, Harvard, Northwestern, and the University of Illinois. He has also worked with Texas A&M and the University of Houston. He has worked with McKinsey & Co. and Boston Consulting on several strategic initiatives and has been a member of the Greater Houston Partnership Energy Advisory Committee. Brian holds a Masters in Business Administration from the University of Chicago and a Ph.D. in Chemistry from Indiana University. 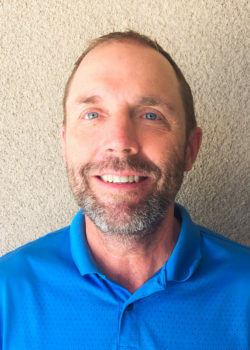 Mark retired and joined Stillwater in early 2018 after a 31 -year career with ARCO/BP focused primarily on petroleum refining and fuels manufacturing. 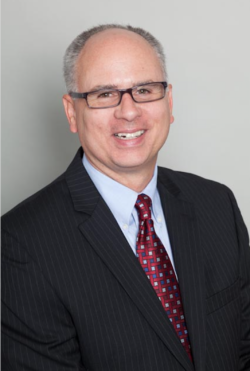 As President of BP Husky Refining LLC (BPH) and Refinery Manager of BPH’s Toledo Refinery, his final assignment was an 8-year stint leading the business to significantly improve its competitiveness while reducing process safety risk. He achieved this by improving reliability, operational rigor, and asset utilization; reducing fixed costs by 25% on an uninflated basis; and investing in several large-growth projects to reposition the business to process advantaged heavy, Hi-TAN crude and produce an advantaged product slate. Mark’s broad background prior to his final role with BP included roles in engineering, operations, HSE, maintenance, and commercial. Mark also gained experience in California’s gas and power business as Business Manager of the Watson Cogeneration Company. Mark helped influence refining industry policy and performance by serving for seven years as BP’s representative on the API Refining Committee, chairing the committee for two of those years, and as BP’s representative on the AFPM/API Advancing Process Safety Advisory Group. Mark earned a BS in Chemistry from Cal Poly, San Luis Obispo prior to earning an MS in Chemical Engineering from UCLA. After 13 years in the workforce, Mark furthered his education by completing an MBA from the Anderson School of Business at UCLA. Mark also completed BP’s Operations Academy at MIT. Thomas Daniels’ 35-year career is comprised of 15 years consulting to the energy industry and 20 years of operations, business development, and strategic planning in the refining and power generation sector. As a consultant, he has provided commercial and operational expertise specializing in facility operations, commercial strategy development and negotiation, and strategic planning. Tom’s corporate career included working for ARCO, BP, and small independent refining companies. Work experience included operations, commercial development, strategic planning, and technical management. Mr. Daniels has a BS in Chemical Engineering from Lafayette College. 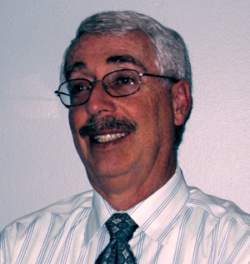 John F. Faulstich has over 31 years experience with Mobil and ExxonMobil Refining and Supply. He has considerable experience in Refining Economics, Product Trading, and Crude Oil & Product Supply, particularly in the West Coast Region. His final assignment was in Strategic Planning for the Torrance Refinery. John is a graduate of Northeastern University in Chemical Engineering, and also earned a Master of Science in Chemical Engineering from Villanova University. Nick Griffith has an extensive maritime background which includes work on numerous ocean-going towing and salvage tugs, oil tankers of most types, training, passenger, and RORO vessels. He has sailed under his unlimited tonnage Masters License and Offshore Installation Manager, OIM, endorsement on oil exploration, and production vessels and Semi-submersibles from the construction yard and transit to spudding in, to production. In the dry bulk sector, his specialty is cargo hold cleaning, inspection, and maintenance. Nick holds three United States and two foreign patents in this maritime sector. His claimed tools and methods in constant use today save dry bulk vessel owners and charterers time and money while minimizing the ocean environmental footprint of their vessels conducting necessary cargo hold maintenance, cleaning, and inspection. In the containerized vessel sector, he has extensive experience conducting ISM/SMS, VGP, BWT, audits as well as supplying corporate gap analysis to ensure compliance with various IMO and CFR policies and regulations to include STCW and MLC. Always interested in developing superior ways to perform tasks, in 1975 Nick designed the first fully mechanical automatic real-time radar plotting (and Navigation) aide, (ARPA), and in 1992 developed a database application which displayed relative real-time values to traders conducting stock market index arbitrage. 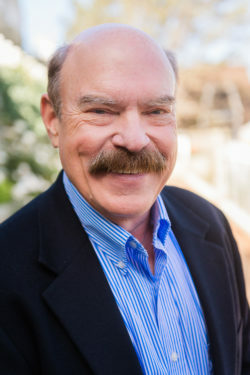 A 1968 graduate of the Hurricane Outward Bound (Survival) School and 1973 graduate of the United States Naval Academy, Nick holds an associate degree as a Safety and Security Professional from California State University-Dominguez Hills and certificate of competency as auditor of Maritime Safety Management Systems from IRTS. As a longtime friend of Stillwater, Captain Nick provides support in the maritime arena. Ralph Grimmer is a senior executive with 38 years of experience in the U.S. downstream and midstream oil sectors. 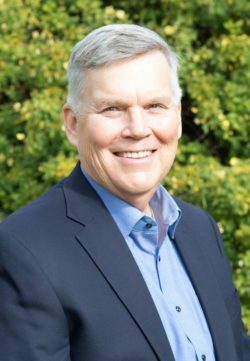 He has a wealth of operational and commercial experience with Texaco, Motiva Enterprises, and Tesoro plus consulting experience with Baker & O’Brien. Ralph has a strong background in crude oil and refined products logistics (pipelines, terminals, rail, trucking), downstream optimization, supply & trading, business development (both line operations and M&A), refining, and rack marketing of petroleum products. Ralph’s experience base includes refining, supply & trading, and regional optimization over 24 years with Texaco. For seven years starting with the formation of Motiva Enterprises, he was the executive responsible for 46 proprietary refined products terminals, 600 thousand barrels per day (bpd) truck supply of gasoline to Shell and Texaco retail outlets, and rack marketing of 250 mbd of home heating oil and other unbranded refined products. He championed development of an industry-first rack pricing optimization tool. Over the six years Ralph was with Tesoro, his executive leadership transformed Tesoro’s logistics function from a low visibility cost center into a robust, rapidly growing master limited partnership. Expansion of Tesoro Logistics’ Bakken-focused assets (pipelines & gathering) and throughput volumes in North Dakota and significant increases in proprietary product terminals throughput volumes were among the highlights of this transformation. Ralph received his B.S. in Chemical Engineering from Texas Tech University. 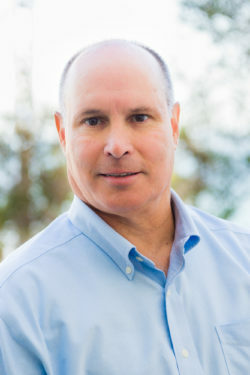 Vaughn Hulleman has over 20 years’ experience resolving strategic issues and improving organizational capabilities for the world’s leading resource organizations. Vaughn’s career began in oil exploration and corporate planning for Exxon Mobil. He then began a professional management consulting career with PwC/IBM and Accenture. As a management consultant, Vaughn has worked in strategy, advisory and business transformation practices. His experience covers the project lifecycle from issue analysis, business case development, solution development, and project / program management. This diverse background allows him to excel ambiguous projects and complex business requirements. Vaughn has a BSc in Geophysics, a Masters in Economics, and holds a Chartered Financial Analyst designation. Jeff Kennedy spent more than 18 years with Mobil Oil. An inspirational leader, visionary strategist, and fearless catalyst of change, Jeff sees the end game that others don’t. He then develops and executes game-changing strategies to get results fast, drive competitive advantage, and ignite the organization. Beginning as a process engineer in Mobil’s Beaumont, TX refinery, Jeff worked through a series of progressively more responsible positions in line and headquarters functions including U.S. Division Strategic Planning, West Coast Crude & Product Supply & Logistics, West Coast Integrated SBU (Strategic Business Unit), Mobil Chemical Plastics, and Reengineering of Mobil’s worldwide staff functions. Jeff has a strong track record of taking a variety of businesses – from high tech startups to mature $1.5B companies – in different situations to the next level. He possesses a unique blend of major league and entrepreneurial experience with superb business, people, and organizational acumen. Jeff’s also displays a keen sense of market needs, the ability to increase competitive advantage, and an eye for enhancing the bottom-line. He has extensive experience in strategy development and execution, best practices and operational excellence, process reengineering, organizational effectiveness, leading change, and getting results. 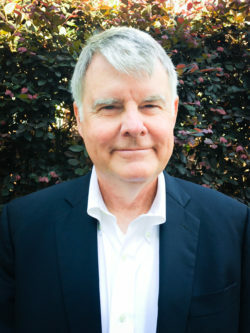 James Langley is an independent energy consultant focusing on business analysis related to refining, transportation, and other facets of the downstream industry. He is typically consulted by executives of operating companies or professional service providers to the executives. Jim holds a Bachelors degree in Chemical Engineering and a Masters degree in Business with emphasis in marketing and finance. He has worked extensively on the international scene, traveling to over 35 countries, and possesses reading and speaking skills in Spanish. Enoch J. (E.J.) Ledet specializes in ensuring product quality in both laboratory and field operations management and in the design and use of laboratory quality assurance (QA) systems based on ISO Laboratory Guide 17025, including testing Statistical Quality/Process Control (SQC/SPC). E.J. draws on more than 40 years of experience including analytical support and management for oil refinery process chemistry, fuels and lubricants support, environmental/toxicology analytical support, detergent chemistry formulations, antifreeze research, enhanced oil recovery detergents discovery, managing refinery laboratory quality assurance, and development and management of ISO-based refinery QA systems. His responsibilities included Product Quality support to Manufacturing, Transportation, Supply/Distribution, and Retail/Wholesale Marketing. E.J. holds Bachelor of Arts and Master of Science degrees in Biochemistry from the University of New Orleans. Michael Leister spent more than 35 years with Marathon Oil Company and then Marathon Petroleum Company. He has been an industry leader in dealing with clean fuels regulations and legislation. He helped to develop industry consensus positions on ULSD, Tier 3 gasoline, MSAT 1 & 2 and in dealing with the fraudulent RIN problem. Mike understands U.S. refinery operations and economics, along with the U.S. transportation fuel distribution infrastructure. Optimization and strategic planning are two of his key interests. He has worked closely with EPA, DOE and the auto industry on many projects and issues. Mike has an MBA from Virginia Tech’s Pamplin School of Business, which compliments his BS and MS in Chemical Engineering from Virginia Tech. Through his work on API’s Economics work group, he has been the driver for many industry economic analyses covering everything from the national impact of changing the ozone NAAQS to the intricacies of the RFS2 RIN markets. In addition to understanding refining industry operations and economics, Mike is very knowledgeable of research into transportation fuels and engines. 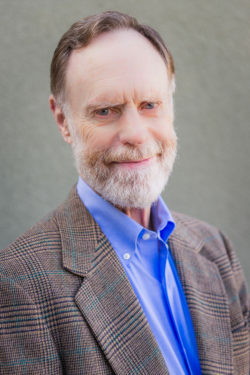 During his 13 years on the Coordinating Research Council Board, including two years as president, he helped oversee a vast number of CRC research projects that dealt with both current and future engines and fuels. Mike has lent his expertise to four National Petroleum Council studies. He is a retired U.S. Army Lt. Colonel and spends his time restoring a Victorian home, playing tennis and hiking in Colorado. Christine is a Process and Quality engineer with over six years of experience in a state of the art industrial manufacturing site. She is a results-oriented leader and team member with a proven record of accomplishment and consistent contributions toward product development, material qualification, and process change control. Christine earned her BS in Chemical Engineering from the University of California at Irvine. She is also Lean certified and an ISO50001 certified internal auditor. After 33 years with ARCO and BP, Jim Mladenik joined Stillwater Associates in January 2016. Recent projects have included consultation on mergers, litigation support, comments to the EPA on the role of E85 in meeting the Renewable Fuel Standard, and aiding in the launch of Stillwater’s Low Carbon Fuel Standard newsletter. Jim’s 16 years of experience with BP covered all parts of the West Coast fuel value chain. He was instrumental in developing product placement, production, and marketing strategies; setting up the distillate trading book; and establishing wholesale diesel offers and military contract bids. Jim also developed BP’s compliance strategies for California’s Low Carbon Fuel Standard and Carbon Cap & Trade program and the federal Renewable Fuels Standard. During his time at ARCO, Jim served as a technical specialist supporting the company’s two West Coast refineries. In this capacity, he created one of the world’s first comprehensive mathematical models of the delayed coking process. He later led the technical support team in the coking area which supplied a large calcined coke marketing business. Jim received his bachelor’s and master’s degrees in Chemical Engineering from the University of Notre Dame in 1981 and 1982, respectively. He earned an MBA from the University of California, Irvine in 1997. Leigh Noda has a very broad based experience in the petroleum refining, petroleum products and alternate fuels arenas. His experience covers refinery operations, technology, business planning and strategy, business and project development, finance and EH&S (environmental, health and safety). 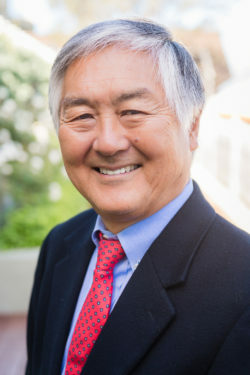 He has a Masters in Business Administration from the UCLA Anderson School and a Bachelors of Science in Chemical Engineering from the University of California at Davis. His experience and education are the basis for strong analytical skills, and an ability to address complex challenges and opportunities. With Atlantic Richfield (ARCO) for 28 years, Leigh held numerous positions including key positions during the period when many critical decisions and investments were made to the two west coast refineries to address new stationary source environmental and fuel standards. While he was manager of technology and business at Carson Refinery, ARCO developed the first environmentally reformulated fuel (EC-1) that was introduced to the market in 1989. The fuel was developed in collaboration with fuels and central technology groups to demonstrate that gasoline can be cleaner burning and can be part of the future fuels mix of the country. In support of the merger with BP, he prepared interrogatories to the FTC demonstrating the neutral impact of the $36 billion BP Amoco-ARCO merger on the cost of petroleum products from West Coast petroleum refineries. After ARCO, Leigh has consulted on a wide variety of projects ranging from development of investment opportunities for a private equity firm, to evaluation of the potential of innovative new technologies, to development of an innovative project for GTL plant in Trinidad. He performed various analyses for GTL including market analysis to support financing of projects, and as advisor to the Country Manager, served a number of functions including: organization development, management systems, commercial and regulatory issues, technical coordination, investor and lender presentations, and partner relations. In support of the US Agency for International Development he authored a white paper of US laws and regulations for use by Kazakhstan in development of their regulatory and environmental laws. He has extensive experience in international business having been part of projects and business initiatives in China, Indonesia, Venezuela, Brazil, Mexico and Trinidad. As part of his role in China, he delivered lectures to visiting executives from Sinopec on the US oil industry, the petrochemical industry, the strategic planning process, and the importance of corporate governance. 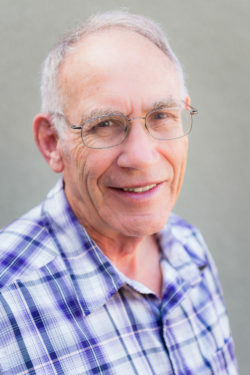 Ron spent his undergraduate years at UCLA during which time he interned at Dow Chemical in Long Beach working in the Quality Control Laboratory at the Long Beach Terminal. After receiving his Chemistry degree in 1982 he went to work at Redken Laboratories in Canoga Park, California where he worked as a Quality Control Chemist, then as a Process Engineer, then as a Product Development Chemist. During his time at Redken Laboratories, Ron made improvements to production processes and significant changes to the composition of products to improve their stability and performance. In 1986 Ron began his career at Mobil working at the Torrance Refinery. He worked as a chemist in the refinery laboratory for two years before becoming the laboratory supervisor. This experience familiarized him with the testing of crude, intermediates, gasoline, jet, diesel, and LPG. He was also responsible for setting up new equipment and new tests including basic testing such as distillation and flash point as well as more analytical testing such as trace sulfur and trace fluorides. A decade after joining Mobil’s team Ron moved to the position of gasoline blender. He later expanded the role to include blending of all clean products produced at the Torrance Refinery. This position made Ron very familiar with running blending LPs. He coordinated many changes to blending LPs to accommodate changes in regulations and other constraints. Ron gained notoriety for being the only person to successfully blend around all Unocal gasoline patents. In 1999, the Torrance Refinery became part of ExxonMobil. With the merger of Exxon and Mobil, Ron gained the responsibility for Refinery Product Quality. This position offered Ron the opportunity to visit, examine and improve product quality in refineries throughout the world. Ron retired from ExxonMobil after 30 years working in Refining and Supply. Barry Schaps is a senior executive with 34 years experience in the petroleum products, advanced biofuels and ethanol industries with areas of expertise in strategic planning, business development (M&A and divestitures), transportation and logistics (marine, pipeline and trucks), retail marketing, supply and trading, risk management, pricing and operations, and project management. He has developed programs to optimize operational costs, drive business growth, increase strategic market share, maximize asset utilization and enhance sustained efficiencies and effectiveness. Most recently, he has provided consulting services to renewable biofuels startup companies ranging from solar, biotechnology, cellulosic and corn and sugar based ethanol. These firms were looking to develop supply chain expertise for feedstocks and finished products while strategically aligning with traditional oil and gas companies. 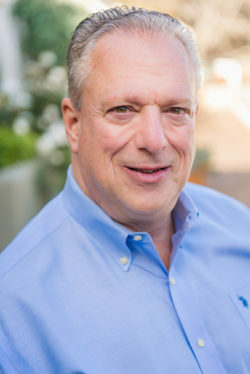 Barry received his MBA in Finance from Long Island University in 1980 and a BBA degree from Bernard M. Baruch College, City University of New York in 1975. Adam joined Stillwater in 2018 following a 33-year career with ARCO, BP, and Butamax (a joint venture of BP and DuPont). With ARCO and BP, Adam held roles in refining, fuel regulations, and biofuels. Activities in these roles included strategy development, major project evaluations and development, refinery optimization, and fuels policy and regulations. With Butamax, Adam served as Strategy and Regulatory Affairs Manager. 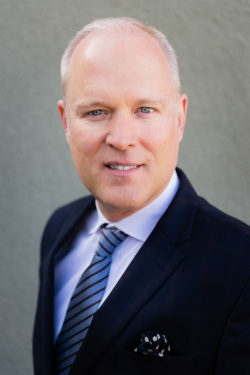 At the former ARCO Los Angeles Refinery, Adam led the team which reduced the capital cost for MTBE phaseout from $150 million to $40 million through identification of commercial solutions; he initiated a $40 million project to recover propylene from refinery waste streams which yielding $10 million/year in revenues, reduced emissions, and enabled the creation of the only world-scale polypropylene plant on the U.S. West Coast. He also led development of $100 million in debottlenecking projects yielding $30 million/year in incremental income. Adam was a founding member of BP’s Biofuels business where he developed the strategy and business cases which resulted in BP’s investment in its first sugarcane ethanol plant in Brazil and in the formation of Butamax, a BP-DuPont joint venture to commercialize biobutanol. 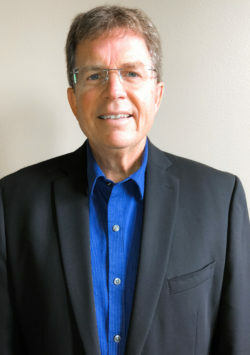 Adam then joined Butamax where he initiated the Federal and California regulatory processes to approve the use of biobutanol in gasoline, continued the work on strategy development and economic evaluation of biobutanol market value and Butamax’s investment opportunities. Adam has also served on API and WSPA committees working on clean fuel regulations and ASTM committees on fuel specifications. With Butamax, Adam served as an expert witness in patent litigation and filled the roles of Communications Manager and Board Secretary. Adam has a BS in Chemistry from Illinois Institute of Technology, a Ph.D. in Chemistry from Michigan State University, and an MBA from the University of California at Irvine. 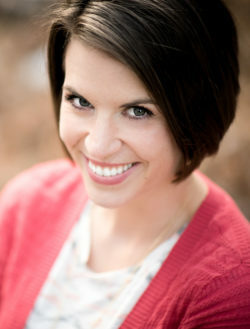 Kendra Seymour is the Marketing Coordinator at Stillwater Associates. As editor of Stillwater Publications’ LCFS Newsletter and Stillwater’s monthly company newsletter, Kendra is responsible for developing and editing content on a wide range of transportation energy issues including policy, logistics, mergers & acquisitions, and renewable energy markets. 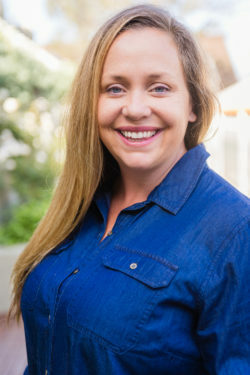 Kendra oversees online marketing efforts and social media campaigns. She also offers research, writing, copy editing, and process management expertise to Stillwater’s project work. Kendra earned a BA in International Relations from Northwest Nazarene University and spent several years working in foreign policy in Washington, DC before joining Stillwater. In addition to her work at Stillwater, she also operates a portrait photography business – Kendra Joy Photography. Kendra lives in Portland, Oregon with her husband and daughter and their red heeler. 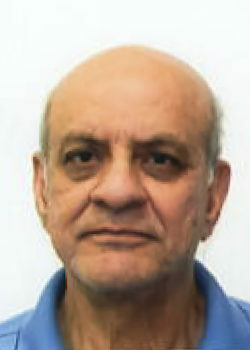 Arshad has 41 years of experience working for British Petroleum and Plains All American Pipeline, where he was a team leader in crude oil logistics, distribution, and trading as well as commercial negotiations and project management. He is a proven professional with diverse experience in marine and pipeline logistics, commercial negotiations, business development, and trading in the energy business. Arshad has produced results in managing crude inventories and sales for maximum group value, petroleum product and asset value optimization, capital project development, and commercial negotiations and new business development in crude oil. He received a Bachelor’s and Masters degree in Chemical Engineering from MIT, a Masters degree in Management Science from Case Western Reserve University, and an MBA from Seton Hall University. 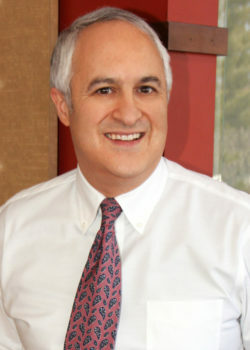 Michael L. Soares has over 27 years with ExxonMobil in downstream marketing operations. He has held various assignments in light products terminals both marine and pipeline supplied. He also has experience in lube plant operations. His final assignment was as manager of operations, Fuels Marketing, Western United States. In this position, he was responsible for supply of light products to over 1,000 retail and commercial sites in California, Arizona, Nevada, and Texas. Michael is a retired Captain, USNR. Among his many assignments, he served as Military Assistant to the NAVSEA Inspector General. During his tour, he served as a certified Malcolm Baldrige examiner for IG audits. Currently he serves on the adjunct faculty at Salve Regina University in Newport, RI in the area of Industrial and Labor Relations. 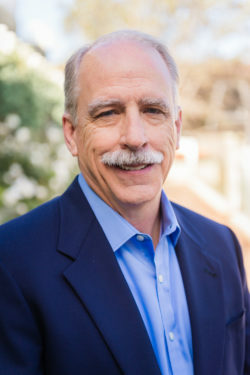 He is a graduate of the Virginia Military Institute and holds a Master of Science in Industrial and Labor Relations from the University of Rhode Island. 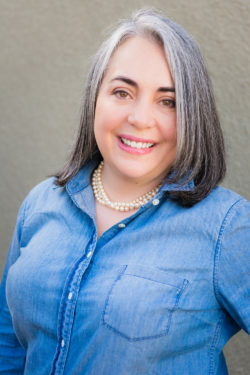 Miriam Stern is a bilingual (English/Spanish) finance professional with considerable experience in Performance Reporting, Financial Modeling and Forecasting, Budget Development and Capital Spending. Her background in Publishing, Retail and Energy (Motiva Enterprises) lends a valuable blend of expertise. She earned a Bachelor of Business Administration at the University of Kentucky and a Masters of Business Administration at the University of Florida. 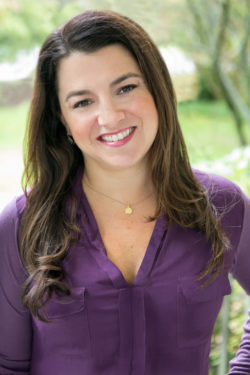 Miriam is also a passionate fundraiser and keynote speaker for Lucile Packard Children’s Hospital at Stanford University. She lives in Menlo Park, California with her husband and three daughters. Terry Virus is a Project Manager. A graduate of the U.S. Naval Academy in 1971, Terry became a Naval Aviator in 1973 and flew Patrol Aircraft. During his Navy career he qualified as an Aviation Safety Officer and instructed in the P3 until leaving the Navy in 1978. After his time in the Navy Terry joined Delta Airlines and flew throughout North America, Europe, and the Pacific Rim. During his 26 years at Delta, Terry served as a Line Check Airman on the B-727, B-737, B-757, and B-767. He was also the Lead Line Check Airman for the Los Angeles base. After retiring from Delta, Terry flew B-747 aircraft, acting as an instructor pilot and Line Check Airman for 2 years for a startup Cargo operation under contract with Korean Air. In recent years, Terry has co-chaired a golf group in Southern California, organizing monthly outings and tournaments. Terry Joined Stillwater Associates early in 2017. 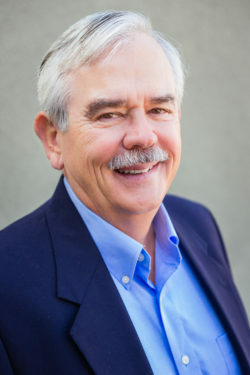 Sid White has over 40 years of experience in engineering, procurement, and construction operations in the oil and gas industry. He has served in multiple engineering and management functions including as a plant manager, project manager, process engineering department manager, and project engineer. Sid has been responsible for the design, specification, scheduling, cost control, and start-up of facilities such as centrifugal and reciprocating compressor stations, gas processing plant modifications, and gas storage fields. He also provides engineering and project management consulting services to the construction industry. Sid is skilled in the assessment of technical issues and project management performance of owners and construction contractors on engineering, procurement, and construction contracts for process plant and industrial projects. Sid earned his BS in Petroleum Engineering and MS in Chemical Petroleum Refining Engineering from Colorado School of Mines, and an M.B.A., University of Colorado. 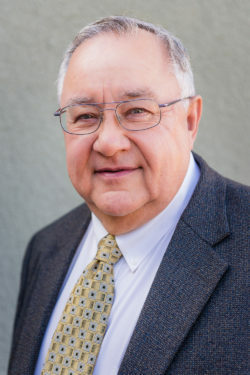 David Wilshin has been an attorney for more than four decades and General Counsel for Stillwater Associates since the early days of the company in the late 1990s. Dave’s experience includes transactions and litigation. His practice areas have spanned business, corporate, and commercial real estate matters. Early in his career he spent seven years as a prosecutor for the Orange County District Attorney’s Office in California. Dave graduated in 1964 from the United States Naval Academy. After four years of service in the U.S. Marine Corps, Dave entered UCLA Law School in 1968 and received his Juris Doctorate there in 1971. For decades he has enjoyed Martindale-Hubbell’s highest attorney peer rating of 5.0/AV Preeminent. John G. Wolff’s career in the energy business involved many aspects of the LNG and natural gas businesses. 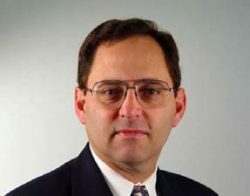 He worked for Chevron’s midstream natural gas group where he evaluated issues affecting LNG project developments and natural gas markets until he retired in 2018. He helped assess issues regarding the competitiveness of LNG, natural gas and other fuels in power generation. John evaluated the seasonality of natural gas demand in many Asian markets and helped compile public information from trade publications and reported customs data to develop commercial insights. He contributed to the 2012 National Petroleum Council study entitled Advancing Technology for America’s Transportation. Prior to joining Chevron, John reported on the LNG business for the newsletter LNG Express, published by Zeus Development. His articles evaluated LNG export plants and LNG receiving terminals around the world. John wrote and spoke on technical topics at workshops and conferences. He also undertook confidential consulting projects for clients, assessing investments in novel offshore LNG receiving terminal projects and handled other consulting assignments including market assessments for LNG cryogenic piping and gas turbines suppliers. John also worked for Duke Energy (post-merger) and Panhandle Eastern Corporation for 17 years where he served in several roles. He pursued projects to increase utilization of the company’s Trunkline LNG terminal and prepared financial models for the LNG shipping, terminalling, and gas marketing operations that improved management decisionmaking in the $100-million business unit. John also explored means to expand natural gas as a premium-priced transportation fuel, including joint venture agreements and technology assessments. While working in the pipeline planning group, John analyzed gas markets and recommended long and short-term strategies to senior management. He provided material for litigation and rate cases and developed short-term gas demand forecasting models to assess the pipelines’ market share in the U.S. Midwest market. 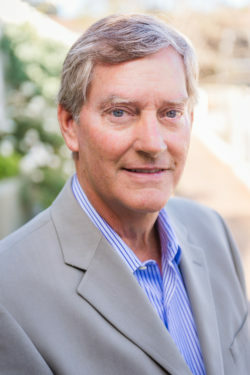 John also managed economic analysis for a successful anti-trust litigation and initiated a project to reactivate helium recovery at a company gas processing plant, resulting in incremental income of $5 million per year. John earned a bachelor of science degree from Brown University and an MBA from the Wharton School of the University of Pennsylvania.